Academyhills is an institution operated by Mori Buildig Co. Ltd. serving as an intellectual hub for working professionals in Tokyo. It is comprised of three main components ... continuing education, a membership library and a conference facility. Located on the 49th floor of Roppongi Hills Mori Tower with a panoramic view of Tokyo, Academyhills provides a place and opportunities for working professionals to learn, interact, and inspires innovation. Academyhills School organizes programs for working professionals to help them to move to a higher level and expand their network. Pillar topics include ... up-to-date business trends, state-of-the-art business skills, global issues, leadership development and culture & liberal arts. Sessions are open to anyone who wishes to attend. With program format ranging from one-off 2-hour seminars to half-day and one-day sessions to long-term serial sessions spanning several months, this unique learning environment allows people to have easy access to intellectual activities through cafeteria style learning. This membership library located on the 49th floor of Roppongi Hills Mori Tower offers stylish spaces designed by renowned architect Kengo Kuma. Members can enjoy a panoramic view of Tokyo from 200 meters above the ground. 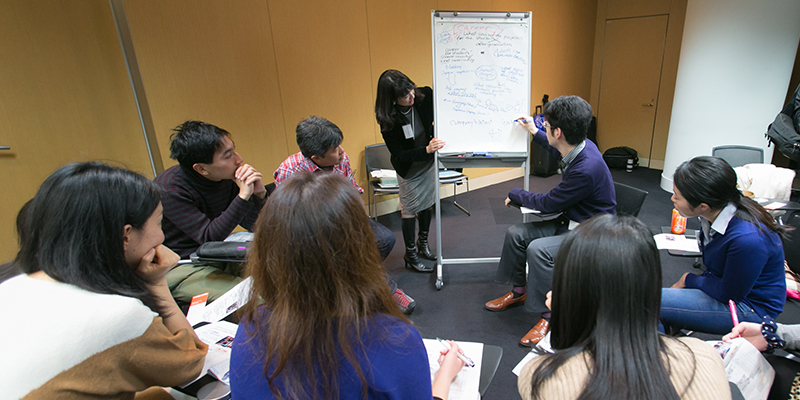 Roppongi Library provides books, spaces and services to support working professionals who seek to work, study, and broaden their intellect and network. Opened in 2013 on the 37th floor of ARK Hills in Tokyo's Akasaka district, this glass-walled library provides work stations, a lounge, and café space in a quiet setting. Members can concentrate on working and studying using the functional space interior design. Both libraries are open everyday from 7:00 a.m. to midnight. Both libraries have the capacity to facilitate exchanges between members including social gatherings. 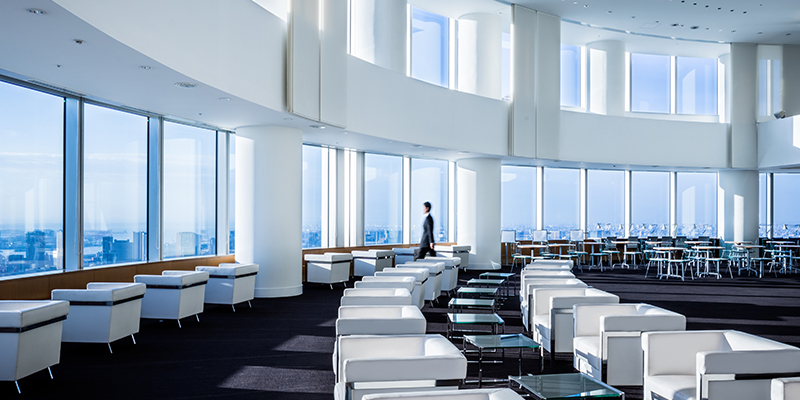 Situated on the 49th floor of Roppongi Mori Tower, this conference facility features halls and rooms with breathtaking views and is an ideal venue for major international conferences. 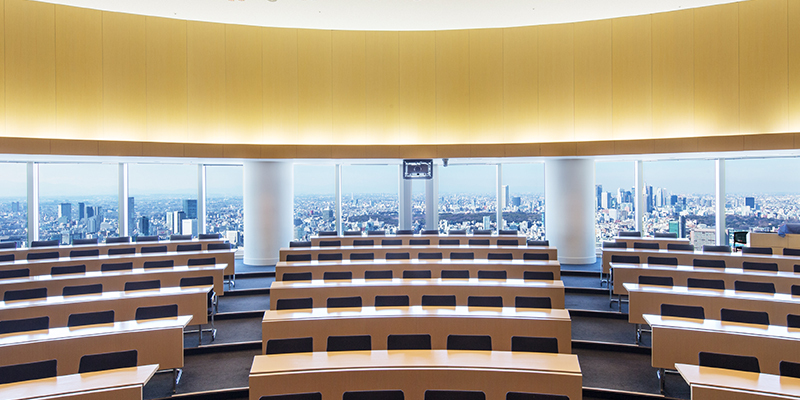 Roppongi Academyhills has a total of 10 rooms including the Tower Hall which can accommodate up to 500 people. Toranomon Hills Forum is one of the largest conference facilities in the Toranomon/Shimbashi area in Tokyo. It has a total of 10 rooms including three large-scale halls. The Main Hall can accommodate up to 700 people.